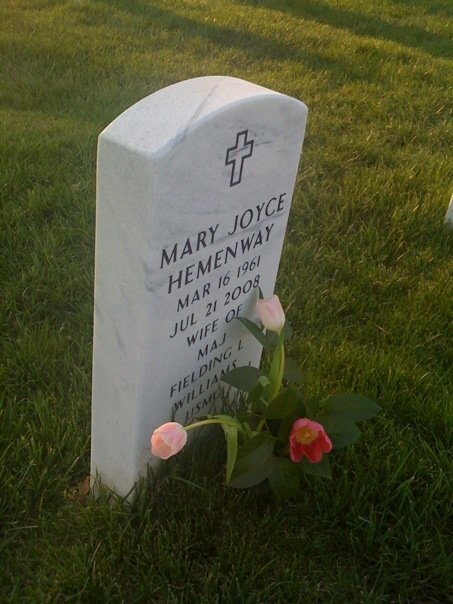 Mary Joyce Hemenway Williams, 47, an analyst in the office of the Secretary of the Department of Homeland Security, died July 21, 2008, at her Arlington County, Virginia, home. The cause of death is pending a determination by the Virginia medical examiner. Her family said she had an apparent prescription drug interaction, after foot surgery. She also had multiple sclerosis and had been treated for breast cancer. Mrs. Williams was born in Munich, Germany, where her father was based with the U.S. Foreign Service, and grew up in Washington. She graduated from Holton-Arms School in Bethesda and the University of Redlands in California. She was a Heritage Foundation media specialist and press secretary to Senator Steve Symms (R-Idaho) before joining the U.S. Fish and Wildlife Service in 1986. As a special-projects coordinator, she played a key role in developing the Take Pride in America program, which promotes the appreciation of public lands. She drafted speeches for the service's directors and helped design an environmental awareness program for deaf children. After several years in California, where her husband was stationed in the Marine Corps, Mrs. Williams settled in Arlington in 2000 and established the Federal Hill Foundation. The nonprofit organization was created to raise awareness of Federal Hill, a historic house in Fredericksburg. Mrs. Williams joined Homeland Security's Office of Legislative Affairs in 2004 and later transferred to the Executive Secretariat in the Secretary's office. She prepared and edited materials for top officials, including the Secretary. She was a member of Cherrydale Baptist Church, Daughters of the American Revolution, the Public Relations Society of America and the National Multiple Sclerosis Society. Survivors include her husband of 20 years, retired Marine Major Fielding L. Williams, and their son, Fielding L. Williams II, both of Arlington; her parents, John D. and Betty Hemenway of Washington; two brothers, John M. Hemenway of Bedford, Virginia, and David Hemenway of Alexandria; and two sisters, Catherine H. Siewick of Arlington and Jane H. Sullivan of New York. Mary Joyce was born March 16, 1961 in Munich, Germany. She was the daughter of U.S. Foreign Service Officer John Hemenway and his wife, Elizabeth. The family later settled in Spring Valley, Washington, D.C.
Mary Joyce attended Horace Mann School and St. Agnes (St. Stephens) and graduated in 1979 from Holton-Arms School. She attended the youth program at Fourth Presbyterian Church, where she committed her life to Christ. 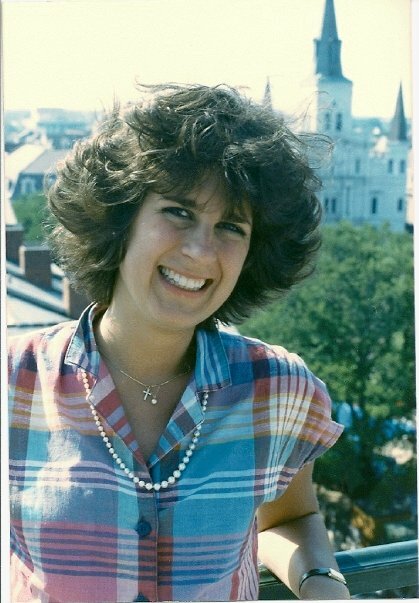 Mary Joyce followed her talents and majored in Communications and Political Science at the University of Redlands in California. She began her career at the Heritage Foundation, where she was editor for Heritage Today and This Month at Heritage, two major newsletters whose distribution included Members of Congress and the media. This led to a job as Deputy Press Secretary for Senator Steve Simms, where she rose to become Primary Press Secretary. At the time she was the youngest Press Secretary on Capitol Hill. On June 4, 1988, Mary Joyce and Captain Fielding Lewis Williams, U.S. Marine Corps, were married at historic Christ Church in Alexandria, Virginia and had their reception at Robert E. Lee's boyhood home. Mary Joyce loved the historic significance of these sites. Soon after, the young couple settled in Old Town Alexandria, where Mary Joyce spent many cherished hours in her garden, frequented by birds and bees and butterflies. Her loving touch in the garden was extraordinary -- everything flourished under her care. In addition to her love of history and gardening, Mary Joyce loved her country, its natural resources and beauty. It seemed a perfect fit for her to accept a position as a Reagan appointee with the U.S. Fish and Wildlife Service, where she developed the National Take Pride in America Program. She believed that America's National Parks belong to each of us and that we should all take pride in them. As the Special Projects Coordinator, she developed programs that brought people and the parks together. Her artistic ability coupled with her political savvy provided creative, innovative approaches towards private-public partnerships, including the duck-stamp program, the Mark Trail Coloring Book, the Boy Scouts of America Take Pride Conservation patch, and Gallaudet University's Kendall Elementary School environmental program for children with hearing impairment. Joyce's contagious enthusiasm for people, wildlife and American history radiated throughout her work. She desired to improve this world, make a positive impact, and she did. Many of the programs she helped put in place still exist in some form today. With the birth of her beloved son, Fielding Lewis Williams, II, on December 14, 1993, Joyce turned her creative energy and passion toward her family duties. 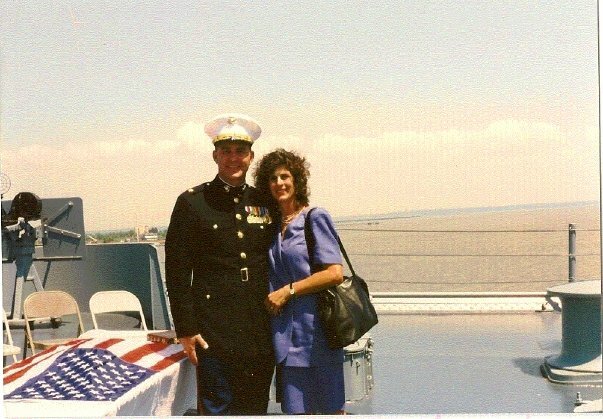 When her husband Fielding was transferred to California in 1997, with their son in pre-school, Mary Joyce became Headquarters Company Key Volunteer Coordinator. In this role, she touched many families by recruiting and managing teams that distributed information to military spouses. After returning to the East Coast with her family, Mary Joyce was presented with a challenge and need, and as usual she stepped up to the plate. Mary Joyce created the Federal Hill Foundation, and she and Fielding worked tirelessly on restoring Federal Hill, an 18th century home of Virginia Governor Robert Brooke. She held programs and opened the home to the public, bringing history to life. In 2004, upon moving back to the Washington DC area, Mary Joyce worked at the Department of Homeland Security as a writer/editor. 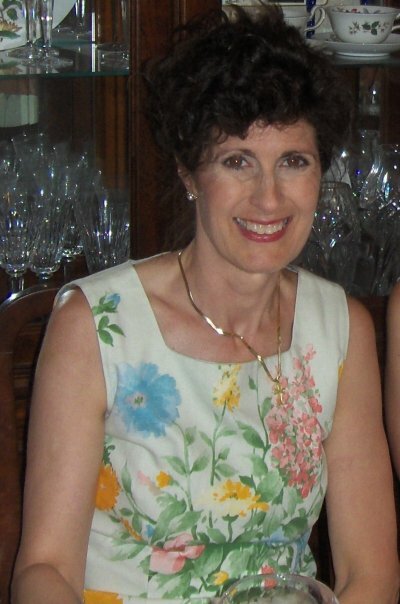 Mary Joyce was diagnosed with Multiple Sclerosis when she was in her early twenties. Her positive and upbeat outlook enabled her to combat chronic pain, with a full-steam ahead approach that any able-bodied individual would marvel over. Two years ago, Mary Joyce was diagnosed with Breast Cancer. In her characteristic style, she persevered with extraordinary courage and continued to work throughout chemo and radiation therapy. As a devout Christian, Joyce lived a life of faith. She loved Cherrydale Baptist Church and invited family and friends to accompany her to worship. Mary Joyce was a member of the Daughters of the American Revolution, member of the Board of Directors of the Federal Hill Foundation, member of the Public Relations Society of America, and a member of the Multiple Sclerosis Society. Survivors include her husband, Fielding Lewis Williams, and their son Fielding II, her parents, John and Betty Hemenway of Spring Valley, Washington, DC, brothers John Hemenway (Stephanie) of Bedford, David Hemenway (Margaret) of Alexandria, Virginia, sisters Catherine Siewick (Edward) of Arlington, Virginia, and Jane Sullivan (John) of New York, four nephews and five nieces, other relatives and friends and her two white German Shepherds. Harp Solo - Kristin Jepperson "On Eagles' Wings"